Beijing’s promotion of a new strike aircraft may be less a powerful addition to its military arsenal than a sophisticated part of a deeper strategy. Now that the visits of US Secretary of Defense Robert Gates to China and President Hu Jintao to the United States, the question that naturally comes to mind is what, if anything, has changed in US-China security relations. And there are now reports that China has finally tested the JuLang-2 (JL-2) submarine-launched ballistic missile (SLBM). Long in development, the JL-2, with its 5000 mile range, would give China’s nuclear arm much greater reach. With up to five of the new Type 094 nuclear-powered ballistic missile submarines (SSBNs) entering service, the combination of new subs and new missiles would give China a substantially more secure second-strike capability than it has hitherto enjoyed. But it would also mark a significant expansion of China’s nuclear weapons force, which had previously fielded less than a score of long-range ICBMs capable of reaching the United States. China has been all over the news lately. Between President Hu Jintao’s recent US trip and the test flights of the J-20 stealth aircraft that coincided with US Defense Secretary Robert M. Gates‘s visit to China earlier this month, it’s been pretty much non-stop. In the run-up to Hu’s US trip, a lot of folks wrote about whether or not Sino-US relations were faring well or heading toward another fallout. Whether or not relations are good or bad right now, if the rumors of new round of weapons sales to Taiwan that began to swirl just prior to Hu’s visit turn out to be true, then we can pretty much assume that relations will be in the tank again soon. We can make this assumption based on, among other things, the PRC’s reaction to the last round of US weapons sales to Taiwan, which was announced a year ago. This package, which boasted a sticker price in excess of $6 billion, consisted chiefly of utility helicopters like the ones that @Starbuck_WOI flies, missile defense systems (the latest version of the venerable Patriot system), and command and control equipment. In response, the PRC cut military-to-military ties to the US for nearly the balance of the year. These “mil-to-mil” ties are an important part of the regime of confidence building measures (CBMs) in place between the US and the PRC, mainly because the PRC government is not forthcoming with information about many things, in particular defense and security-related issues. 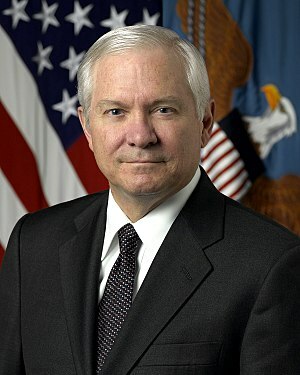 During the moratorium on US-China defense ties in 2010, Secretary Gates requested to make a visit to China in conjunction with a trip that already had him in Asia. 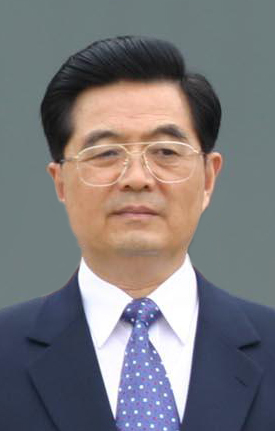 The PRC response was that the timing was “not convenient,” and his request was denied. Gates was finally able to make the trip this month, and while he was there, the PLA trotted out its new J-20 stealth aircraft for some very public test flights. (US-based observers freaked out.) The PRC vowed the timing was purely coincidental. Of course it was. The rumored new weapons sales will not be quite as expensive as the 2010 version ($4 billion this time), and supposedly would include upgrades for Taiwan’s aging F-16 fighter jets, including avionics, engines, and missiles (Washington Times, Foreign Policy). The US agreed, in the 1982 Joint Communique with the PRC, to decrease both the quantity and quality of the weapons sold to Taiwan over time, but in practice this has been contingent on the military threat to Taiwan being reduced. The US has not backed away from making weapons sales to Taiwan in the interim, but one could argue that too much accommodation of Beijing’s anticipated reaction has affected at least the timing of the weapons sales, if not the content (though likely this as well – after all, whatever happened to the submarines and F-16s that Taiwan was supposed to get?). Because of the perceived “sell-out” involved with agreeing to curtail weapons sales to Taiwan, at the same time that the 1982 Joint Communique was being negotiated, the US provided Taiwan with what has become known as the “Six Assurances.” The assurances indicated that the US would not set and end date for weapons sales to Taiwan; that the US would not alter the Taiwan Relations Act (see below for more on it); that the US would not consult with Beijing in advance of weapons sales to Taiwan; that the US would not mediate between the PRC and Taiwan; that the US would not alter its position on Taiwan’s sovereignty, which is that it was something that needed to be peacefully resolved by the Chinese themselves (and would not pressure Taiwan to enter into negotiations with Beijing); and that the US would not formally recognize Chinese sovereignty over Taiwan. You can see how these assurances directly go against the 1982 Communique’s assertion that weapons sales would taper off. But the US’s continued insistence on selling weapons to Taiwan, despite knowing that there will be a price incurred each time in Sino-US relations, as mentioned earlier, is predicated on a decreasing military threat to Taiwan. Anyone familiar with the PRC’s military modernization and expansion in the past couple decades, in particular the massive numbers of short-range ballistic missiles (SRBM) that are arrayed against Taiwan, knows that this has not been the case. So the weapons sales will continue. Taiwan also knows that there are some weapons the US simply will not sell them, so they must be produced indigenously. For example, Taiwan recently decided not to deploy a Taiwan-developed multiple-launch rocket system (MLRS) on its offshore islands near the PRC to avoid provocation. Missile development is but one facet of what one observer calls an “evolving defense doctrine” characterized by greater self-sufficiency. Defense Secretary Gates, when asked by a US senator last year what could be done to reduce or stop US weapons sales to Taiwan (referred to by the senator as a “substantial irritant” to US-China relations), replied that the issue was political, not defense-related. Until the Taiwan Relations Act of 1979, which mandates that the US will “make available to Taiwan such defense articles and defense services in such quantity as may be necessary to enable Taiwan to maintain a sufficient self-defense capability”, is amended (note that the Six Assurances guaranteed that the TRA would not be amended) or repealed, there is no escaping this requirement. Gates replied similarly to a question about Taiwan weapons sales during his recent China trip, adding that in his view, that until the threat to Taiwan is reduced much more than it has been even in the era of cross-Strait rapprochement since the Ma Ying-jeou administration took office in Taiwan in 2008, that the weapons sales will still be necessary. I can’t disagree. If you look at the capabilities that the PRC has aimed its defensive modernization and upgrades at, it seems quite clear that they are aimed at triumphing over the US in a limited regional war to take Taiwan. The PRC anti-access/area denial strategy supports it, development of 5th generation stealth aircraft supports it, expansion of the submarine fleet supports it. In conclusion, when the next round of weapons sales to Taiwan are announced, don’t be surprised – surprised that the sales took place, or surprised that the PRC will be all aflutter about it. It’s nothing new, and it won’t be changing anytime soon.